ALBUQUERQUE, N.M. (AP) — A New Mexico man who killed five family members as a teen is set to return to court Monday for a weeklong hearing to determine whether he has been rehabilitated while in state custody. 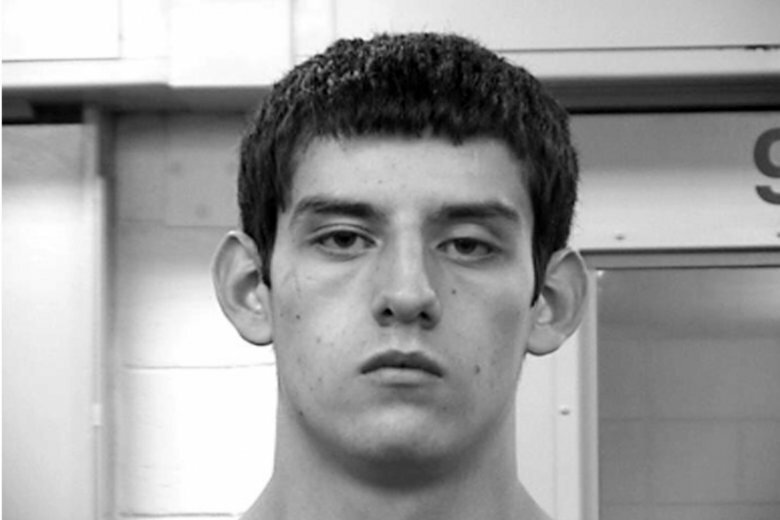 It is the second such hearing for 21-year-old Nehemiah Griego, who three years ago pleaded guilty to second-degree murder and child abuse resulting in death in the shootings of his parents and three siblings at the family’s home south of Albuquerque. The details of the 2013 shootings stunned New Mexico’s largest city, in part because of the number of fatalities, the chilling details of the crime and the ages of Griego — then 15 — and his youngest victims. His sisters Jael and Angelina were 5 and 2, and his brother Zephaniah was 9 years old. Griego’s attorney Stephen Taylor said Griego has received continuous treatment since 2013, but he declined to comment further on it ahead of the hearing, citing his client’s privacy rights. In the past, Griego’s lawyers have presented testimony indicating he endured abuse and malnourishment so severe as a child that he suffered brain damage. The case has resulted in hours of hearings and appeals over Griego’s progress and mental health treatment while in custody, and arguments over whether he should be sentenced as a juvenile or an adult. For Albuquerque Children’s Court Judge John Romero, the central question will be whether Griego — who was diagnosed with schizoaffective disorder and post-traumatic stress disorder while in state custody — has proven receptive to treatment and is prepared to re-enter society. The answer will help determine whether he’s sentenced as a juvenile or adult. In New Mexico, the maximum sentence for a crime committed by someone the court considers a juvenile cannot extend beyond the person’s 21st birthday. That means Griego would be released if the judge decides he should be sentenced as a juvenile. If Griego is sentenced as an adult, the judge could have considerably broad discretion over his sentence, with the maximum penalty being 120 years in prison. In 2016, Romero found after a similar hearing that Griego showed he was treatable, placing him on track for release on his 21st birthday after he received two more years of therapy. But the state appeals court overturned that decision earlier this year. The judges sent the case back to Romero, saying they didn’t believe he considered certain testimony presented by the prosecution. Griego, who was under the custody of the state’s Children Youth and Family’s Department, was transferred to the Metropolitan Detention Center in Albuquerque in March. Romero’s decision this time is expected to be based on whether Griego has, in fact, made the progress needed in treatment to be released. Last time, the focus was more forward-looking and centered on his potential to complete treatment and be prepared to re-enter society by age 21, said Diana Garcia, who became a prosecutor on the case this year. Prosecutors in the past have focused on chilling details of the killing in arguing Griego should serve time as an adult. Bernalillo County sheriff’s deputies said Griego began his January 2013 rampage in his parents’ bedroom, where he shot his mother as she slept. He then shot his brother and two sisters. Griego’s father, a reformed gang member and pastor at an Albuquerque megachurch, was the last to die, with Griego ambushing him as he returned home, authorities said. Griego’s lawyers have spotlighted descriptions of Griego’s isolating and abusive home life. He was homeschooled and rarely had the opportunity to socialize outside church functions, his attorney said. His father trained the teen to use his guns and tasked him with patrolling their property. Attorneys have presented a long list of witnesses they could call during the hearing, including two older sisters. They did not testify at the 2016 hearing but have since become more vocal about the case. The sisters supported the appeal and the judges’ decision to send the case back to Children’s Court, saying they have forgiven their brother but want to see him sentenced as an adult to ensure justice for their family. Other witnesses include an aunt who has closely tracked Griego’s therapy and believes he’s prepared for release. Attorneys also plan to call mental health experts, juvenile corrections officers, a state psychologist and other therapists. The backgrounds of those witnesses are similar to many who testified in 2016.